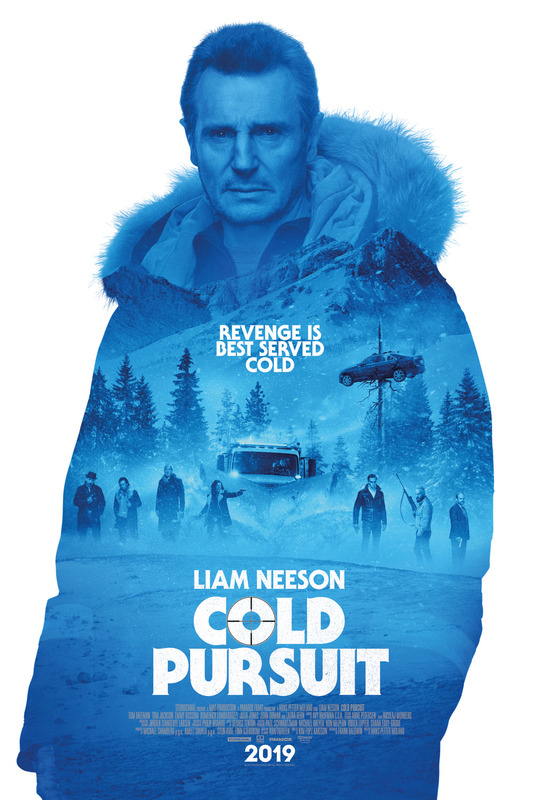 An action thriller infused with irreverent humor, staring Liam Neeson as Nels Coxman, a family man whose quiet life with his wife (Laura Dern) is upended following the mysterious death of their son. Nels’ search for justice turns into a vengeful hunt for Viking (Tom Bateman), a drug lord he believes is connected to the death. As one by one of Viking’s associates “disappear,” Nels goes from upstanding citizen to ice-cold vigilante, letting nothing — and no one — get in his way. Note: There is an “Order of Disappearance” during the credits where names are blown away like snow until there are none left.